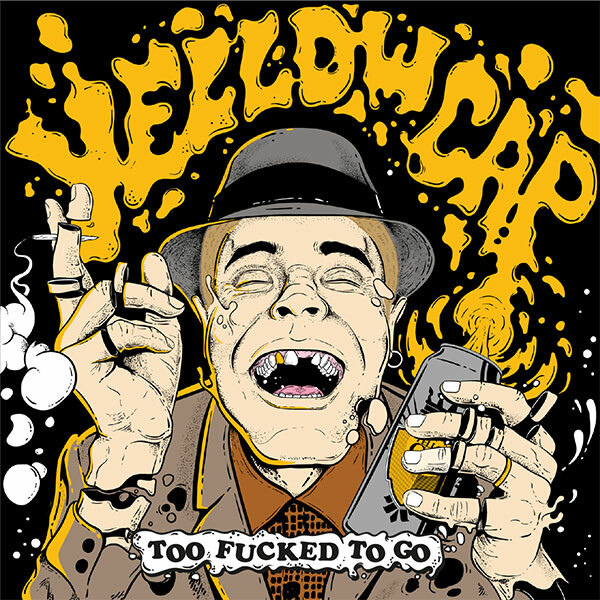 The greatest gift YELLOW CAP could make to themselves for their 20th anniversary is their fifth studio album TOO FUCKED TO GO, to be released on November 30, 2018 via Pork Pie/Broken Silence (CD/LP/mp3 Release). In 1998, at the close of the millennium, YELLOW CAP were founded in Görlitz, Saxony. Not satisfied with just listening to ska and waiting for occasional concerts in the region, they wanted to spread their own Jamaican-English sounds along the German-Polish border. 20 years, five albums and many tours later, the nine musicians from Görlitz, Dresden and Berlin are now taking another big step. also inherent in other styles of music. The sound has become rougher, more genuine – you can tell that many of the instruments were recorded live and together. cosmopolitanism in “Safe & Sound”, the rethinking of one’s own point of view in “Bittersweet Candy” or the longing for exotic places in “Beachboys’ Dream”. Those who are tempted to think the nine offbeat maniacs have finally grown up, are taught of a better by the title song of the album TOO FUCKED TO GO (already released as a video single: https://youtu.be/s-mdrf3t9lE). A pub is packed with exuberant people, the music is way too loud and nobody is thinking about – or even capable of – going home: Too fucked to go! The record cover was designed by the extraordinary Brazilian artist “Shiron the Iron”, a friend of the band’s, who also contrived the last single cover and spent time with the band during the 2018 tour of Brazil.